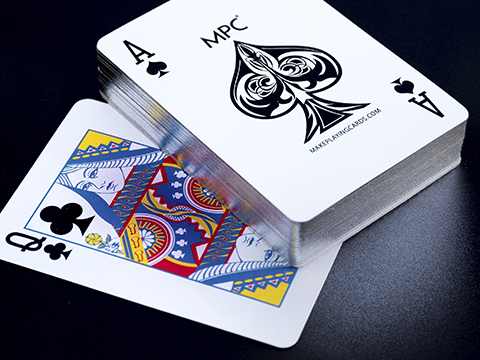 Give your personalized playing cards a luxurious edge with MPC's Gold or Silver Gilt Cards technology. Our polished gilt edge finishing is sure to impress anyone who lays eyes on them giving your cards the wow factor that it deserves. MPC's Gold and Silver Gilt Cards are unique in the way that there are no minimum order quantity requirements in order to make a purchase; this is only possible due to MPC's considerable investment into groundbreaking R&D development and technology to offer the first ever gilt edge cards service with no quantity restrictions so you can order as low as 1 deck of custom gold gild edged cards. 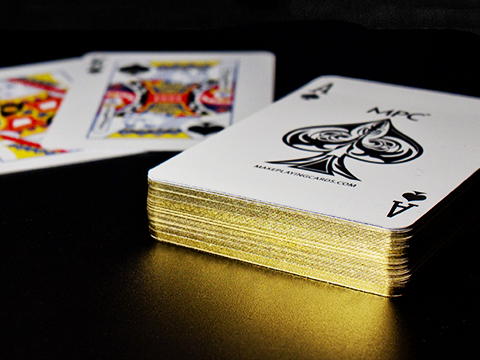 Currently, we have gold and silver gilded edge options for 3 different size of cards. If you require gilding on any other card size, please contact us. 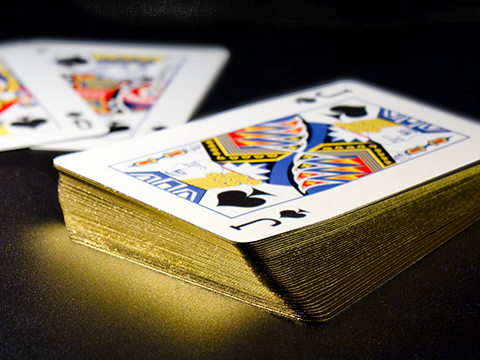 See a sample of MPC's gold gilt edged playing cards on video. It's easy! To select this option, choose Gold Gilt Cards under the print type options before you proceed to customizing your order.